2017 was a big year for not only 2-in-1 laptops, but 15-inchers in particular. However, if the Dell XPS 15 2-in-1 is anything to go by, 2018 is going to be an even bigger year — in both size and importance. Here’s a laptop that calls itself the most powerful 2-in-1 ever, and for a frankly limited time only, that will assuredly be the case. 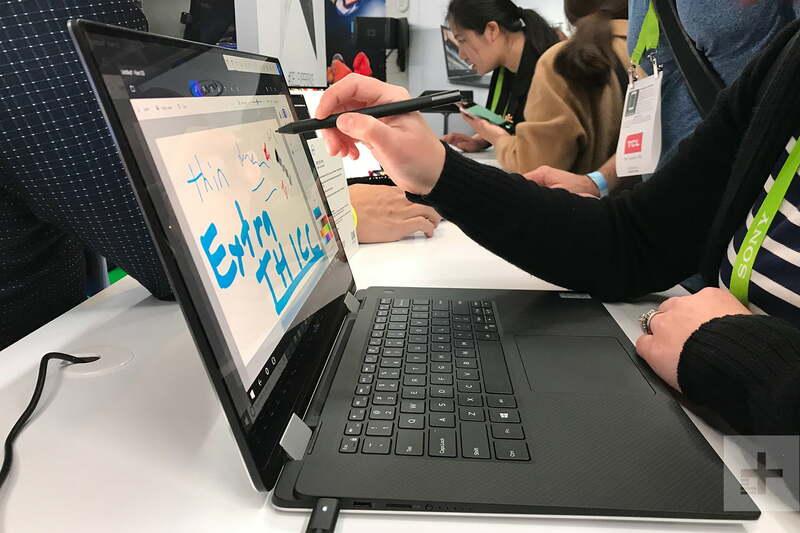 The main draw of the Dell XPS 15 2-in-1 over, say, the Microsoft Surface Book 2, is that it uses a G-series Intel Core i7 processor. That means that, yes, Dell’s latest flagship hybrid machine supports integrated AMD Radeon RX “Vega M GL” graphics featuring a form of high-bandwidth memory called HBM2. The price, for instance, is going to be a major point of contention for anyone on the fence about buying either a Dell XPS 15 2-in-1 or Microsoft Surface Book 2. Whereas the 15-inch version of the Surface Book 2 will set you back upwards of $2,500, the Dell XPS 15 2-in-1 starts at a comparably modest $1,299. But are there concessions made along the way to adhere to that price point? Let’s take a deep-dive into the nitty gritty of the Dell XPS 15 2-in-1 and its arch-nemesis, the Surface Book 2, to find out for certain. When it comes to aesthetic alone, you can’t go wrong with either the Dell XPS 15 2-in-1 or the Surface Book 2. Both are equipped with flattering looks intended to make you swoon, and neither is particularly gaudy or peculiar. Personally, we prefer the matte-black finish of the XPS 15, but that — of all things — shouldn’t steer you away from the Surface Book 2. In fact, you could argue that the Surface Book 2 looks better in tablet mode than the Dell XPS 15 2-in-1. That’s because, unlike Microsoft’s winning laptop, Dell’s efforts are inhibited by a 360-degree rotating hinge. In effect, the ability to detach the screen from its keyboard is absent in the XPS 15 2-in-1, a feature that has long gripped enthusiasts of the Surface brand ever since the induction of the Surface Pro. Both are equipped with flattering looks intended to make you swoon, and neither is particularly gaudy or peculiar. Then again, the Dell XPS 15 brings design innovation in other areas. It is, after all, the smallest and thinnest 15-inch, 2-in-1 laptop available. 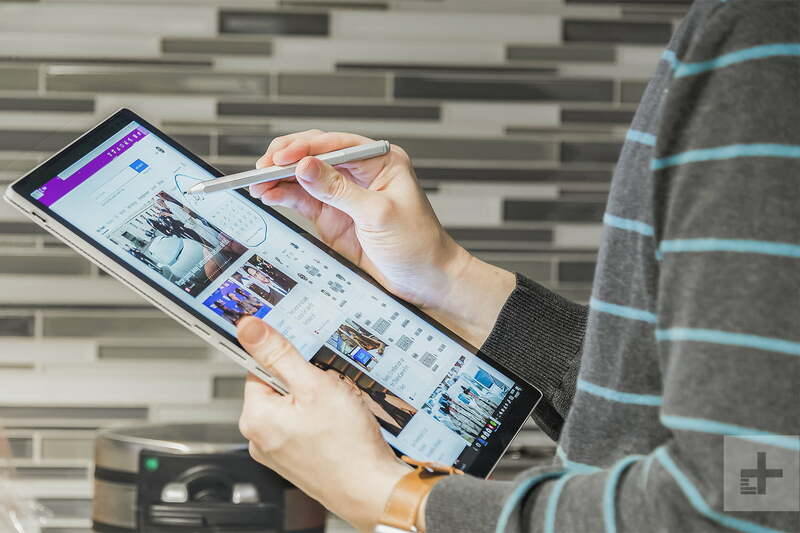 At its thinnest point, it’s 0.35 inches thick, as opposed to the Surface Book 2’s thickness of 0.568 inches. It’s also got those tiny bezels that the XPS lineup has been known for. The catch is that the Dell XPS 15 2-in-1 weighs but a hair more at 4.3 pounds, compared to the Surface Book 2’s 4.2-pound heft. Port-wise, you can expect a more progressive range from the Dell XPS 15 2-in-1. Similar to the last two MacBook Pros, the 2-in-1 rendition of the XPS 15 forgoes USB as you know it in favor of four USB-C ports. Notably, only two are Thunderbolt 3, while the remaining two are USB 3.1. Likewise, only one of these can double as a charging port, not that it’ll need the juice with a promised battery life of up to 15 hours. You might prefer the Surface Book 2 for it’s inclusion of USB-A for your legacy accessories, but overall the XPS 15 2-in-1 takes the cake here. There’s no question that the Dell XPS 15 2-in-1 comes with better hardware for the buck. You’ll have to reach a bit deeper into your pockets to take advantage of a full-fledged UltraHD 4K display, but otherwise Dell’s option comes with a faster processor out of the box and HBM2 graphics that are largely thought to be better than the Nvidia GDDR5 memory found in the Surface Book 2’s GPU (though we haven’t gotten to test it out fully yet). The Surface Book 2’s battery life is an undeniable threat to the Dell XPS 15 2-in-1. Having said that, we’re a lot more familiar with the Nvidia GeForce GTX 1060 wielded by the Surface Book 2, and that goes without mentioning the fact that it boasts 6GB of VRAM, contrasting the 4GB found in the Dell XPS 15 2-in-1. In regards to battery life, the Surface Book 2 poses an undeniable threat to the Dell XPS 15 2-in-1. Instead of clinging to a 75WHr (watt-hours) battery, you’ll find a 90WHr battery housed in the likes of the Surface Book 2. According to both companies, that makes for up to a two-hour difference in the amount of time you can use the Dell XPS 15 2-in-1 and Surface Book 2 without plugging them in. While we can’t say for sure which one looks better in person just yet, on paper the Surface Book 2 has a sharper screen no matter which configuration you opt for. 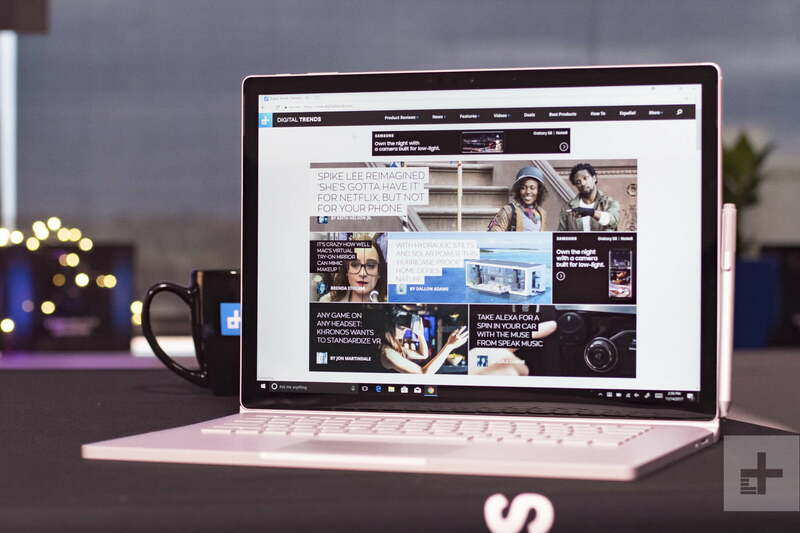 At 259 pixels-per-inch (ppi), the Surface Book 2’s smaller display gives it the upper hand against the Dell XPS 15 2-in-1’s 235 ppi (max) LED-backlit IPS touchscreen. That sentiment bears more truth when you’re looking at the base models. On one hand, the cheapest Dell XPS 13 2-in-1 has a 141 ppi, 1,920 x 1,080 display and, on the other, the Surface Book 2 has that same 3,200 x 1,800 resolution (259 ppi) detachable IPS panel. Of course, being in two different price ranges, it’s evident why Dell chose the route it did, but nonetheless, the Surface Book 2 erupts the clear winner. It’s irrefutable that the Surface Book 2 is one of the best 2-in-1 laptops around when it comes to portability. Again, you can separate the screen and the keyboard entirely, instead of wrapping the keyboard around the back and lugging around its full weight in your leisure time. 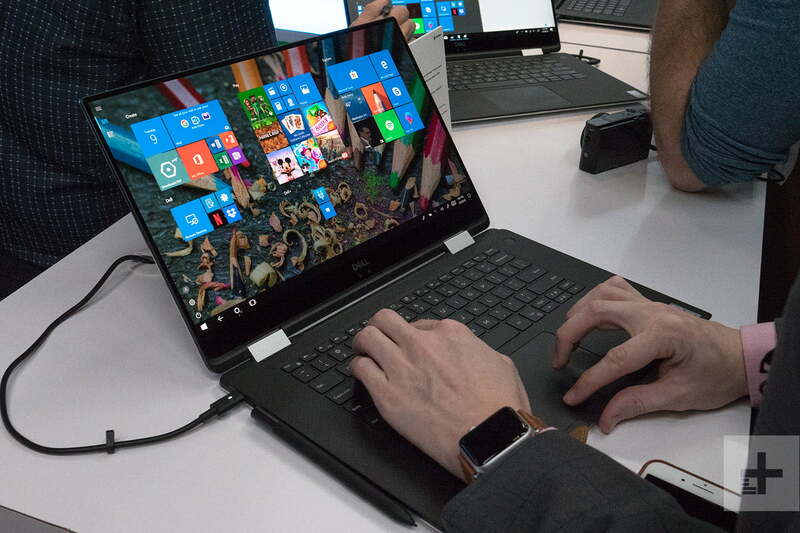 Yes, that’s a subtle jab at the Dell XPS 15 2-in-1, a laptop that takes the more common approach to the convertible form factor by letting you fold the screen backwards to initiate tablet mode. The better method is your call honestly, but being able to take the keyboard off of the Surface Book 2 when we’re propped up in bed binge-watching Broad City is undoubtedly the more “portable” option. Moreover, as we mentioned before, the battery life difference will be an important factor in your purchasing decision between the Surface Book 2 and the Dell XPS 15 2-in-1 as well. It just so happens to be that the Surface Book 2 also packs a longer battery life. Even considering how thin and small the Dell XPS 15 2-in-1 is, the Surface Book 2 wins for its tablet mode alone. Our verdict is this: The Dell XPS 15 2-in-1 and Surface Book 2 were clearly meant for different audiences. Dell wants to grab the masses with the XPS 15 2-in-1, as indicated by its $1,299 starting price. Meanwhile, Microsoft is dead-set on appealing to the prosumer creative type with the $2,500+ 15-inch version of the Surface Book 2. As a result, there’s no definitive answer as to which laptop is better, but the Dell XPS 15 2-in-1 is definitely going to appeal to a wider smattering of people for its better value and strong performance.